Most of us wish we’d spent less on things like cars, clothes and dining out in order to save. So why don’t we? I can’t really afford this, but I love it … I really shouldn’t have bought that, but I needed a pick me up … Is this what a spending hangover feels like? Sound familiar? Turns out the majority of us — 64 percent — regret our spending on short-term pleasures, including food, clothing, new cars, tech gadgets and vacations, according to a new study by Schwab. Specifically, we wish we’d managed our spending better so that we could have put more money away for retirement. In fact, not having enough money for a comfortable retirement was the top source of money stress for those surveyed. With all of that rear-view mirror research, the question is: Why don’t we just stop? The answer, unfortunately, is complicated. A tight budget seems to bring about more impulse spending. It comes down to a failure to delay gratification and an inclination towards impulsivity, which occurs in all humans — but particularly (and ironically) among those whose budgets are already stretched thin, says psychiatrist Mark Tobak, MD, and author of Anyone Can Be Rich! A Psychiatrist Provides the Mental Tools to Build Your Wealth. A recent study by Bankrate showed that the lowest earning Americans (who earn less than $30,000 a year) spend 13 percent of their income on restaurant food, prepared drinks and lottery tickets — a higher percentage than any other income bracket. People who live on tight budgets are going to “grasp at any pleasure they can find, in the hope of securing something for themselves in an unkind world,” Tobak says. Moreover, although you’d think feeling somewhat desperate financially would make people hoard cash, the reaction is often the opposite. “With greater desperation comes a desire to take greater risk, and a lottery ticket is a greater risk than a savings account,” he says. Boredom — or the search for excitement — does the same. And the lottery isn’t the only win we’re after. Social media has also lured many of us down the path of spending money, enticing us to spend for the quick thrill of a “like” that comes when we post vacation pictures or snaps of our latest fashion acquisition. 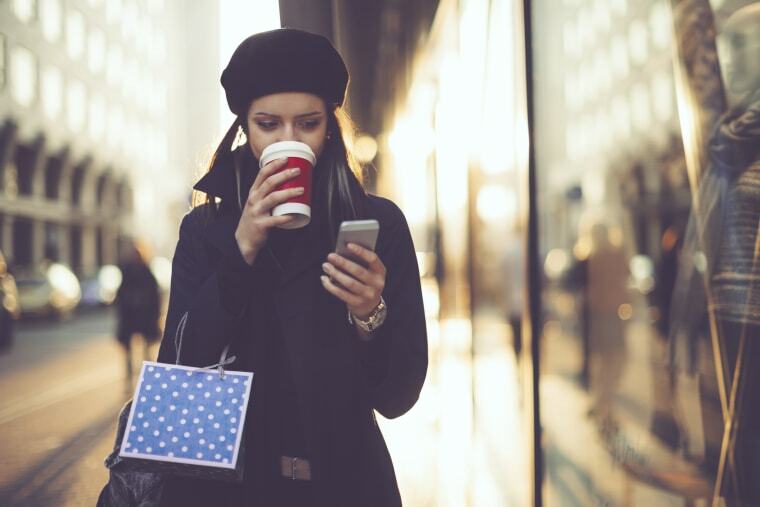 A recent Social Savings Survey from Ally Bank showed that 74 percent of millennials say social media influences their shopping. “This lavish social media lifestyle is influencing our spending and consumption behavior whether we realize it or not. The need to ‘keep up with the Joneses’ is a perpetual battle with one’s finances,” says Diane Morais, president of Consumer & Commercial Banking Products for Ally Bank. From a psychological standpoint, social media has “retrained” our brains to be less inclined to seek long-term accomplishments as pleasure. We’ve grown so accustomed to the quick highs of positive online interactions, that the satisfied feeling we get when we save money may pale in comparison. If we’re so worried, why don’t we change? In some cases, we may not know better. If you never learned how to manage money at home with your parents, and you never learned it in school, the idea of saving money can be something that never clicks. We may also doubt our abilities to make a meaningful difference on a modest budget. The key to getting ahead of our impulses seems to lie in a) recognizing them and b) planning for them. “We really try to focus our messages on a theme of money-mindfulness, and how important it is to understand the proper balance between saving, spending and budgeting,” says Morais. First, turn off your social media if that’s what gets you to spend impulsively. Or make a deal with yourself that there will be no more online shopping after the first glass of wine. And if you do get to the point of purchase, enforce a pause while you ask yourself these questions, says Morais: Am I on track with my savings goals or will this expenditure derail my plans? Do I really need, and more importantly can I easily afford, this purchase? Am I feeling impulsive? Have I really thought this through? Finally, recognize that the sort of stuff we buy on impulse isn’t the only way to use money to bring us joy. Watching your bank account or retirement savings grow can be a gratifying experience, as can unlocking the front door to your new home.